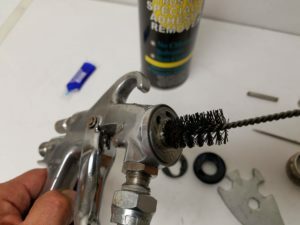 Home | Application | Recommended Spray Guns for Adhesives. Throughout the many visits we make to different manufacturers here in California we’ve learned that the right choice of equipment can increase both the yield of adhesive and its overall performance. 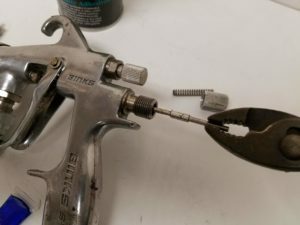 A good, high quality spray gun will help control the amount of glue dispensed, the width of the spray pattern and the air pressure recommended to avoid over spray and improve “open working time” to achieve the perfect bond between substrates every time. 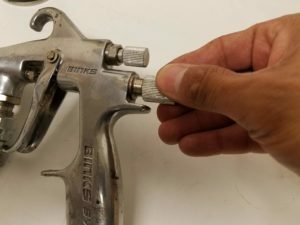 Most spray guns are serviceable; meaning that the user will be able to perform cleaning activities as needed to keep the spray gun working as expected. 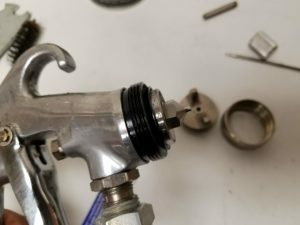 Sometimes over cleaning might result in wear or break of the inner seals of the spray guns. 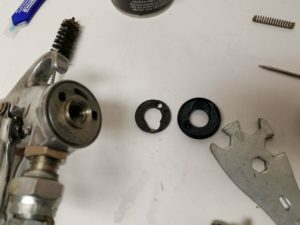 Repair kits often include o rings and seals to bring back the equipment to “as new” condition. Adhesive Solutions is a distributor of Both Binks® and Anest Iwata® equipment and most importantly we are familiar on their operation and maintenance. 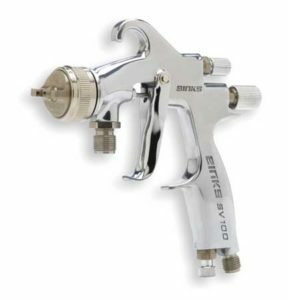 Binks® SV-100 is an HVLP spray gun made with a stainless steel body and a plastic air diffuser, it is suitable for both solvent and water base adhesives and is available in pressure, siphon and gravity configurations. It can be used with 1.1mm, 1.4mm and 1.8mm tips and nozzles. 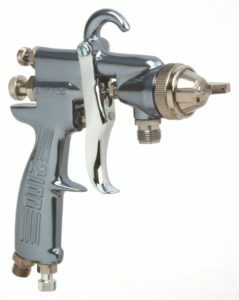 Binks® 2100 spray gun is a durable, full sized gun that is comfortable, well balanced, and easy to use. A specially designed grip measurably improves operator control, balance, and spray quality. The model 2100 will spray all conventional coatings, including those with high solids. 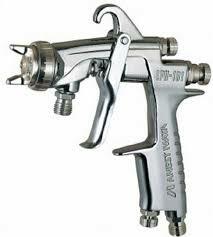 Anest Iwata® LPH101 is a Low Pressure High Volume spray gun. All its parts are made of stainless steel and is easy to service. LPH-101 is a lightweight siphon fed spray gun HVLP compliant, with high transfer efficiency control, made in Japan. It is ergonomically designed for ease of use to all hand sizes with superior flow and control. It is available in pressure, gravity, and siphon configurations. Both Binks® and Anest Iwata® equipment meets the transfer efficiency requirement – High Volume Low Pressure (HVLP) – required by all AQMD regulations. 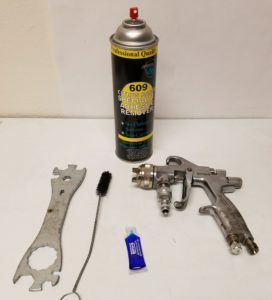 Tips for taking apart spray guns. 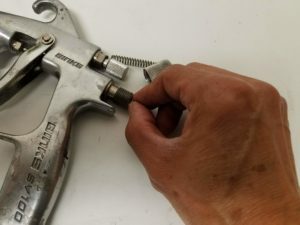 1.- Always use the tool supplied or exact wrenches sizes to avoid wear of the parts. 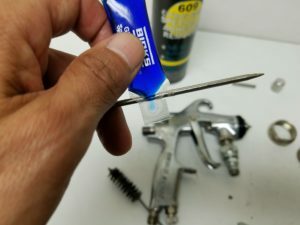 2.- Remove the needle first before the nozzle, this will prevent the tip of the needle from rubbing the nozzle avoiding uneven wear. 3.- Spray the nozzle with 609 Specialty Adhesive Remover or soak it with acetone before attempting to unscrew the cap. This will prevent plastic diffusers from breaking and will loosen up any built inn adhesive. 4.- Use the round brush to clean the inside of the body. Do not use sharp objects that could damage or scrape the inside. 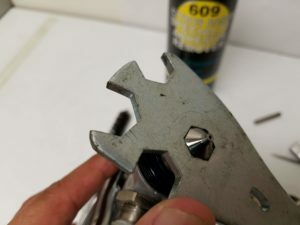 5.- To clean the air nozzle soak it in acetone and use a pin to clear the air vents if they are clogged. 6.- Put the air diffuser back, do not over tighten. 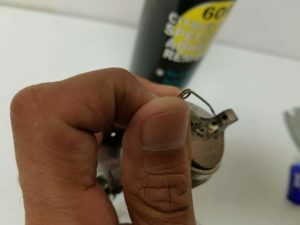 Apply one drop of lubricant to the needle and then proceed to insert it into the gun, along with the spring and the rear volume cap. 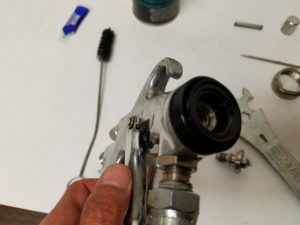 7.- Finally put the air nozzle and tighten by hand.